If you managed to download the Android 7.0 Nougat factory image for the Nexus 6P right after Google released it last month, then chances are you're affected by serious performance and battery issues. In the meantime, the factory images for the Nexus 6P have been pulled from the Google Nexus OTA page, but the damage has already been done for many users. Unfortunately, Google and Huawei have been mum on the matter since the release of Android 7.0 Nougat, so Nexus 6P owners who haven't yet upgraded to Android N are still waiting for the update. As mentioned earlier, Google hasn't pushed Android 7.0 Nougat OTA to Nexus 6P units after many owners who flashed the factory images reported the phone's battery is draining too fast after the upgrade. On a side note, the same issue seems to affect the Nexus 9 LTE, but we don't have any official confirmation from Google or another carrier. It's also worth noting that this seems to be a problem from Huawei's part, if we are to believe Vodafone's statement, so Google is not to blame for the unexpected delay of the Android 7.0 Nougat for the Nexus 6P. Have you managed to upgrade your Nexus 6P to Android N yet? Do you have any issues with your battery after the update? UPDATE: Google has just released the factory and OTA images for the Nexus 6P. Version build number NRD90U is now available for download and includes the September security update. More wakelock nonsense as we've seen occurring randomly on various devices running Marshmallow and Lollipop (Nexus devices included). They really need to test the Google Services and Google Play Services updates before rolling them out as those were the biggest offenders. It's arguably that and the 6P has pretty lousy battery life to begin with for whatever reasons but probably cause of the 810. If Google were to actualy fix the wakelock bugs i think we'd all see our battery life increase 20-50%. This has been going on from ever since that s**tty lollipop released. I've been talking about it for years but nobody else seems to notice it for whatever reason. I've been searching for topics relating to such things and found that forums are full of complaints since lollipop yet no solutions to be found. Some people evem respond by saying that it's overblown or the user is doing something wrong and shouldn't blame google. It's f**king nonsense that a company that insists on hiring alumni from the best schools cannot make an effort in stamping out as many bugs as possible in a timely manner and instead add more bloat/ features (depending on hiw you look at it). Alright, that's enough Mxyzptlk. Apple, the brand you prefer, has had more than its share of issues with software updates, so you have no room to criticize. I never said they didn't. I just find it fun to kick the ant bed when it's my turn. I know software updates aren't always going to be perfect. Right! Google has to bend over backwards to serve you, one Apple user with a long trolling history. For your information, nobody owns you a living, casual Android users don't care about phone upgrade, power users takes care of their own via XDA. Go cry to your Apple Mama!!! You're deflecting by bringing up Apple, a usual tactic of Android trolls. No you can't. A custom ROM isn't the same despite deluding yourself that it is. None of my nexus devices is scheduled to get n. How is Google expected to address fragmentation with Samsung if it can't even defrag its own products? How old are your Nexus devices though? The problem is Samsung in some cases is dropping support a lot sooner than Google is for their Nexus devices. And they're taking longer to get the updates out in the first place. 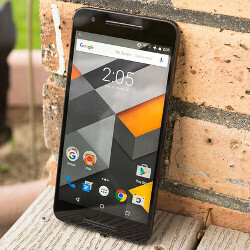 Google should just have OEMS like LG, HTC, Sony, and Samsung built their Nexus line. That's what they've been doing for quite awhile now (except for Sony). This is Huawei's first Nexus device, and they've had no more trouble than any other Nexus. Haven't noticed a difference really. Then again, battery life was getting lousy on 6.0.1 already. I "upgraded" to Nougat and my battery has been terrible. I use my phone to stream music all day at work and I used to make it all through the day and into the evening now my battery is low by at 2:00 pm everyday. Really hope they push a fix for this very soon. Yup, same boat, no issues here on my 6P, if anything battery has gotten better. Thanks Google! I entered the beta after the final version was released, and then left the beta after I got the update. I'm not seeing anything bad. Right now I have the same to maybe slightly better battery life than I had before. I've had the beta and updated to full 7. I noticed it drains a bit more after update to 7, but not to the extent to complain about it. It still lasts me good. I remember lolliflop would drain my Nexus 4 in 2 hours when on standby. They finally release one that was decent. But took my Nexus 7 out. Had to root. In the meantime I am rocking iOS 10 beta with no issues.